Bee Line Company, located in Bettendorf, Iowa, is the world’s leading manufacturer of Computer Laser Wheel Alignment, On-Truck Tire Balancing and Frame Correction Equipment for Heavy Duty trucks and trailers. Our company designs, manufactures and sells a variety of cutting edge products while providing unparalleled training and customer service to our valuable clients around the world. With an absolute commitment to superior products, we utilize the finest materials, advanced technologies and proven processes to deliver long-lasting, reliable performance. We apply the technology gained in the demanding commercial vehicle maintenance industry to offer a full range of products to service every application. We offer the ONLY COMPLETE truck alignment system that allows you to accurately gauge all critical alignment angles AND correct camber and caster to assure optimum vehicle performance and driver handling. Our company built its exceptional reputation by producing state-of-the-art, quality equipment and innovating with every challenge. Continuous process improvements, as well as providing the very best in testing, maintenance and alignment technology, results in cutting-edge products that fulfill our ambitious standards. Our strategy continues to be a model for flexibility, emphasizing technological developments and problem-solving to meet the ever-changing market conditions. Customers want to be confident that they are doing business with an organization that can meet or exceed their requirements in a timely manner. 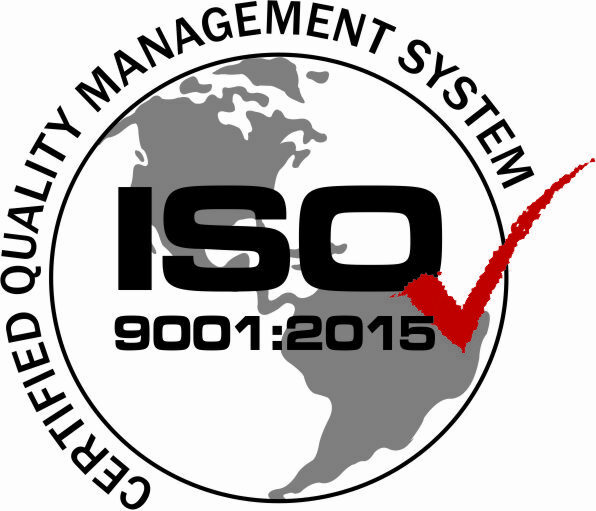 Because it is an internationally recognized quality management system, ISO 9001:2015 certification gives Bee Line customers a reason to have that confidence. Our products guarantee the highest in precision and quality, resulting in the finest heavy duty workshop equipment on the market. Being an innovation leader requires a highly qualified, skilled and inspired staff. Careful personnel planning, internal and external collaboration and ongoing research ensures that industry standards are constantly surpassed. In-house design and assembly, along with an internal software development team and superior manufacturing capabilities, make Bee Line uniquely self-reliant. Before World War I, George L. Hunt invented and marketed many of the early tools for the maintenance and repair field. As the need for better methods of wheel alignment became necessary, the George L. Hunt Company developed “on vehicle” wheel alignment and correction tools. By early 1920, the first Frame Correction Machine was designed and built. In 1927, Hunt’s company was renamed Bee Line Company, with integration following in 1979 as a McLaughlin Company, thus continuing the tradition of product quality and customer service. The introduction of superior Bee Line systems for wheel alignment and truck frame straightening led to world leadership in the commercial vehicle maintenance markets. Our equipment has enabled millions of trucks and trailers to return to the highway as safe, efficient and productive vehicles. Today, we apply the technology and expertise gained in the commercial vehicle industry to offer a full range of products that service commercial vehicles in over-the-road, off-road, military and specialty applications. By answering the needs of a changing industry for nearly one century, we will continue to be the leader of the complete alignment market and the company setting the trends in the future.